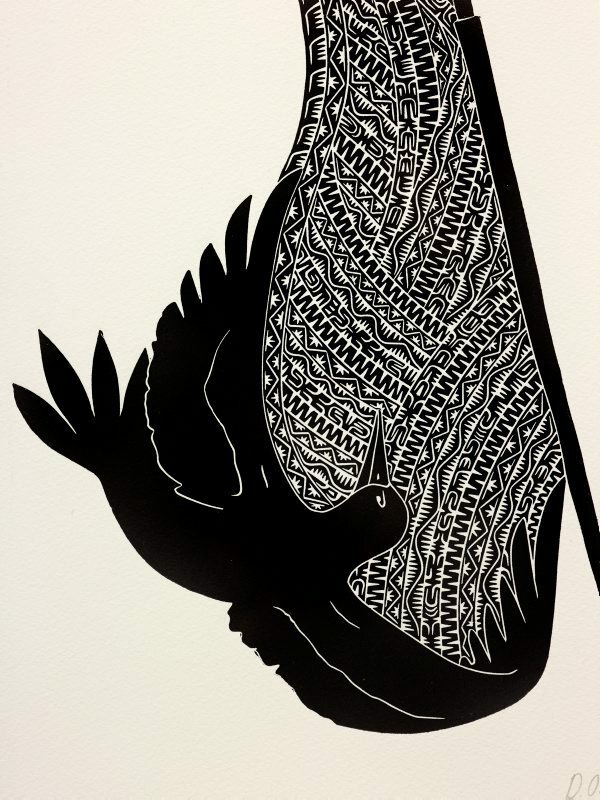 Through the combination of my culture and the art form of vinyl printing I've been remunerated with knowledge and stories of my ancestors and given the opportunity to gain insight into the rich history of my culture, discovering myself in the process. My inspiration is drawn from within the stories themselves; the land and sea, song and dance, ornaments and utensils and traditions. 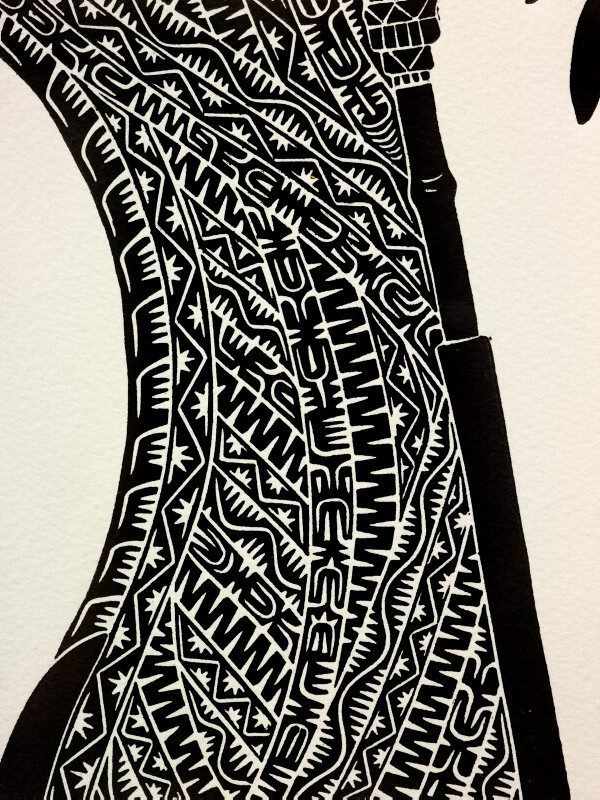 The intangible connection I feel for these stories is what gives me motivation when beginning a new piece and I feel the same amount of reverence explaining and re-telling the stories and my culture as I do printing them. Daniel O’Shane is one of the younger printmakers working today. He grew up in Cairns and began studying at Cairns TAFE in 2009. 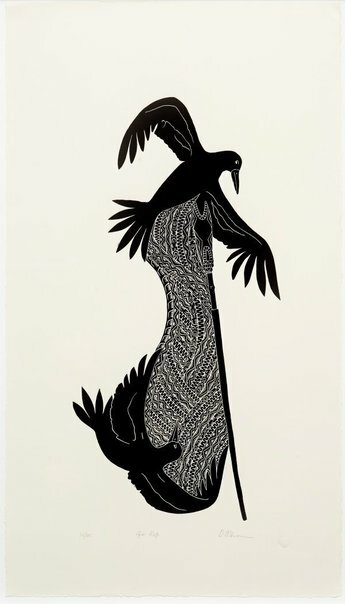 The majority of O’Shane’s works refer to his Meuram people from Erub Island, although he also has family connections to the Mossman and Cooktown areas of Queensland through his father. O’Shane is a highly proficient carver who works in intricate detail to create works of extraordinary precision. 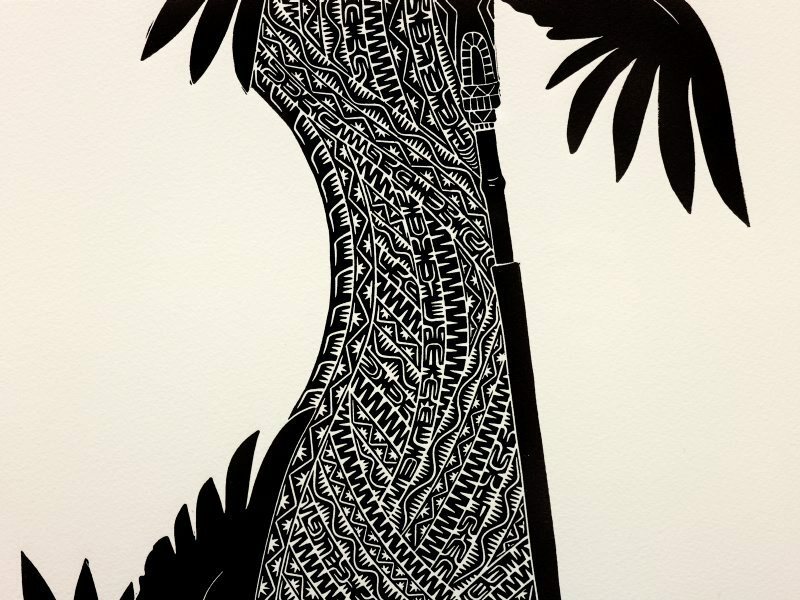 Alive with movement, his prints capture the complex narratives passed down to him by his family. 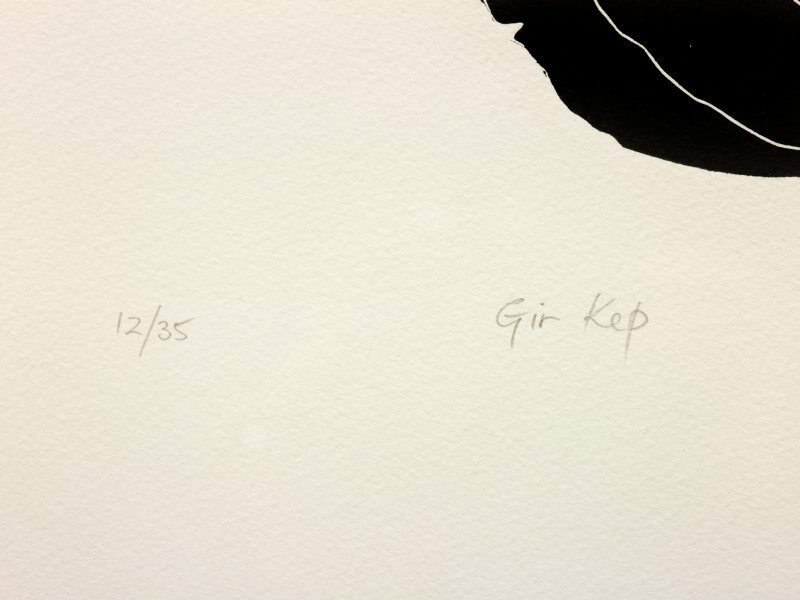 O’Shane has developed his own warr, or signature design, which he uses in his prints. He describes these as ‘a fusion drawn from my Torres Strait and Aboriginal heritage’. In the majority of his works the warr creates mesmerising background patterning, which is overlaid with bold figurative forms. These forms are elegantly rendered, profiling O’Shane’s fine draughtsmanship. 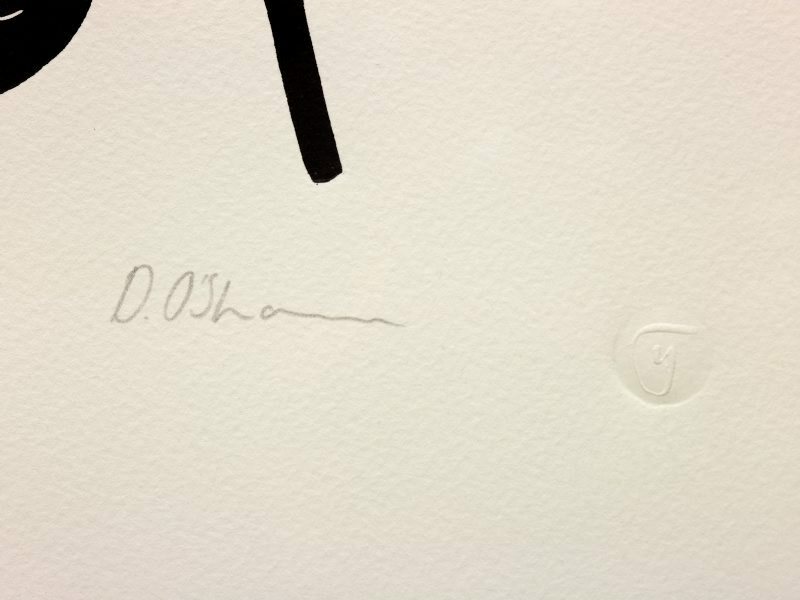 Signed bot.c, pencil "D.O'Shane". Not dated.